Marketplaces and prices shown matched UPC number 630509335299 during our search. 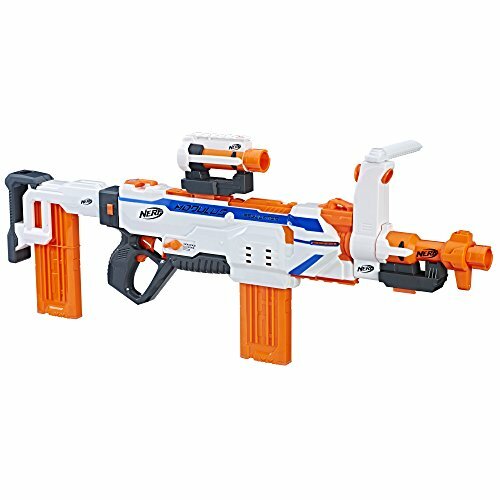 Includes blaster stock, blast shield, 2 darts, and instructions. 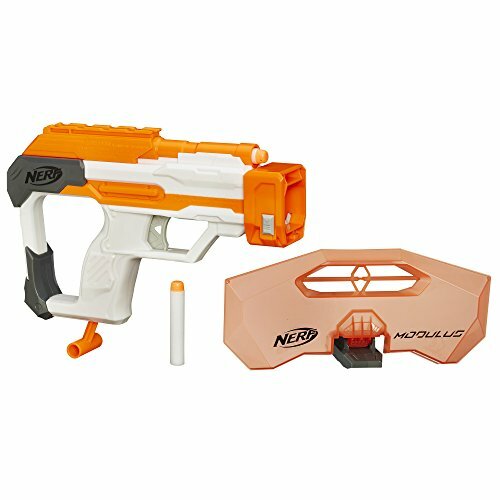 Maybe you’ve already got the Nerf Modulus blaster (sold separately). But do you have what it takes to dominate the battlefield with it? Upgrade your blaster with the Strike and Defend Upgrade Kit! 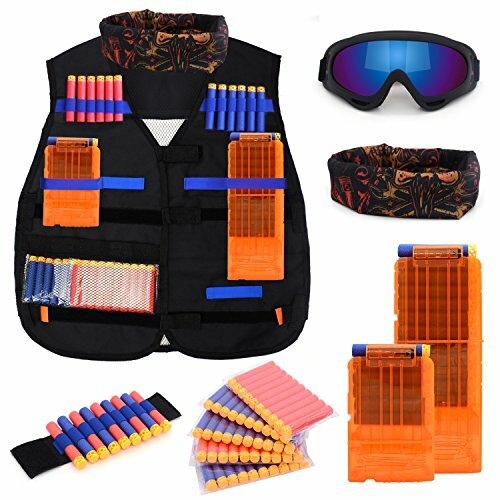 This full battle kit includes a blaster stock to steady your shot and a blast shield to protect your face. When you upgrade your blaster with these battle accessories, you’re taking your game to the next level! Serious Nerf warriors can’t afford to miss, so upgrade stat with the Strike and Defend Upgrade Kit!